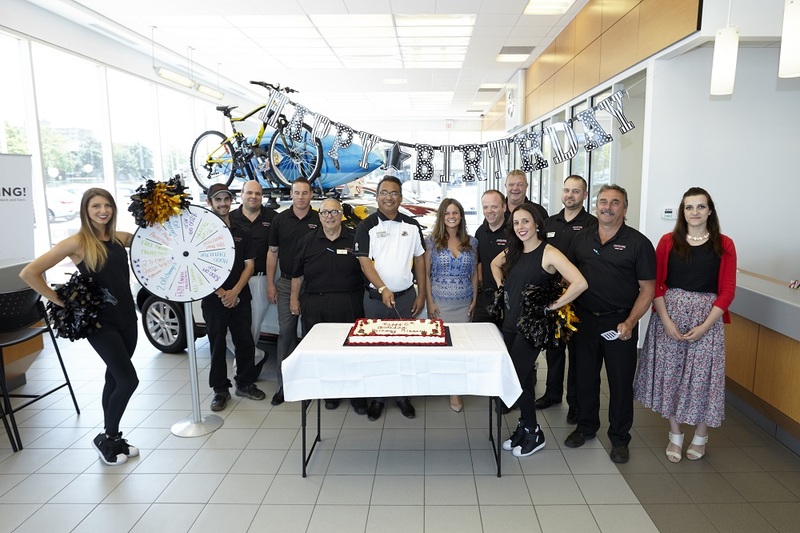 Parkway Nissan | Blog | Parkway Nissan of Stoney Creek Turns 6! 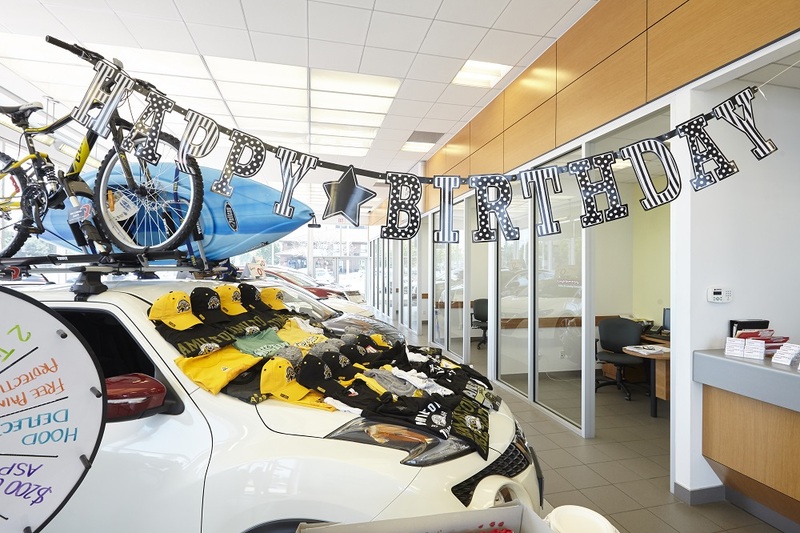 Streamers were hung, balloons were blown up, Hamilton TiCats gear was everywhere… At Parkway Nissan, that could only mean one thing… Our Annual Birthday Sale! 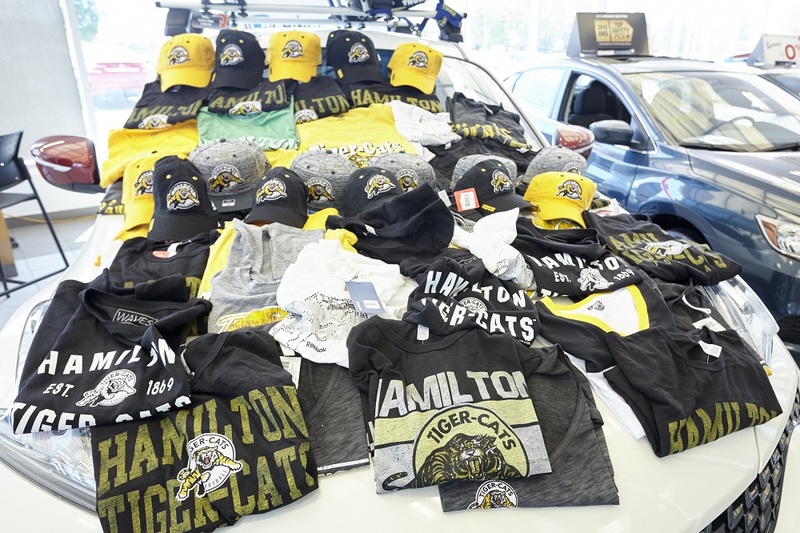 June 13 – 18th was marked not only by blowout sales on 2016 Sentra, Murano, Rogue and more, but by outstanding clients and visitors from the Hamilton TiCats family! From Jim Tatti of the TSN1150 TiCats at noon show doing a live remote to the TiCats Cheerleaders adding excitement to every sale, we want to thank everyone who came out to celebrate our SIXTH birthday! And of course, to all our fantastic clients who chose Parkway Nissan to help you find the right car for your lifestyle, we thank you and wish you happy driving! Check out some Birthday Photos from Saturday, June 18th! The Parkway Nissan of Stoney Creek family + Hamilton TiCats Cheerleaders getting ready to cut the Birthday Cake! Our friends wanted to get a feel for the 370Z! The 2016 Cummins-powered Diesel Titan XD. Convenient for travel with TiCats Cheerleaders! 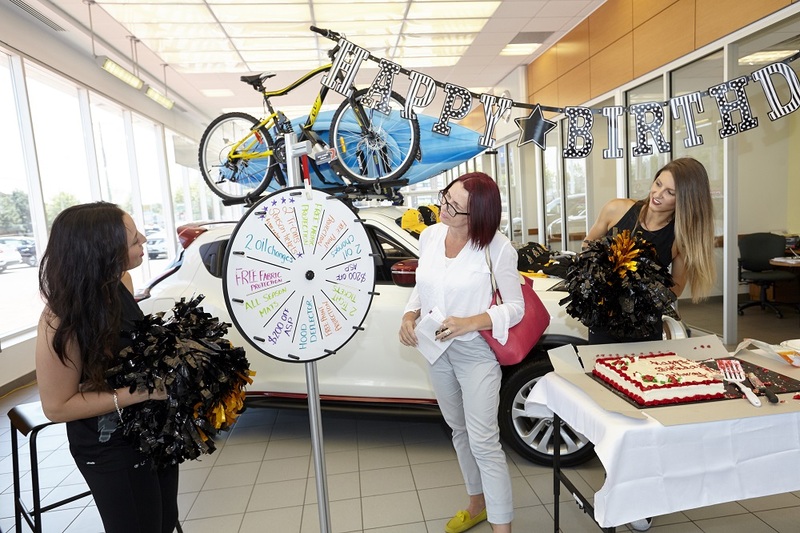 Cheering on a New Happy Nissan Owner she she spins the wheel for additional deals!